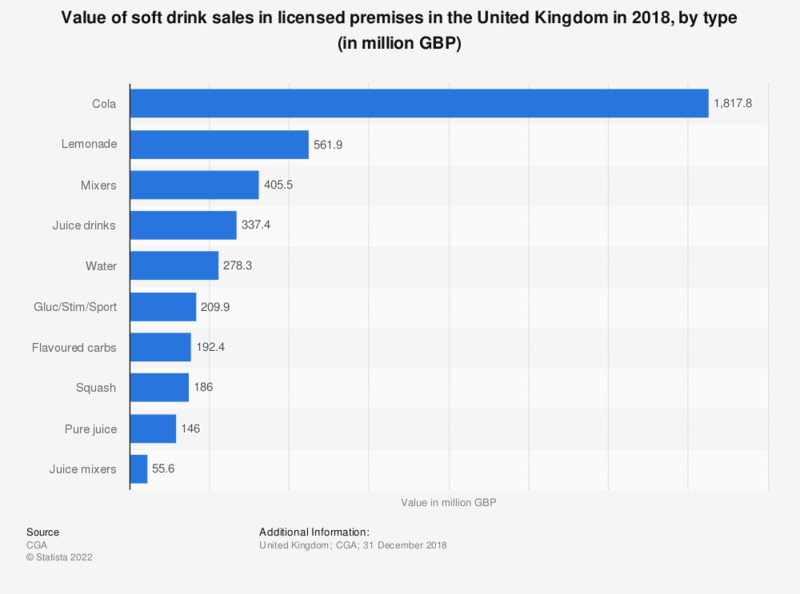 This statistic shows the value of soft drinks sold in licensed premises in the United Kingdom in 2018, by soft drink category. During this period, Cola and lemonade were the soft drinks with the highest value, with a worth in sales of approximately 1.8 and over half a billion British pounds, respectively. Additionally, the percentage change in the value of soft drink sales in pubs and clubs the United Kingdom can be found at the following.